Home › Forums › The Artist’s Studio › Gloomhaven miniatures that hold cardboard tokens. This topic contains 3 replies, has 2 voices, and was last updated by Universal Head 6 months ago. Gloomhaven miniatures that hold cardboard tokens. The tokens slide into place which are especially useful for doors, treasure chests and some furniture. Has anyone got this and painted the bases/doors? I’m curious how this would look. Expensive… but they do sell smaller packs with just the doors and chests. 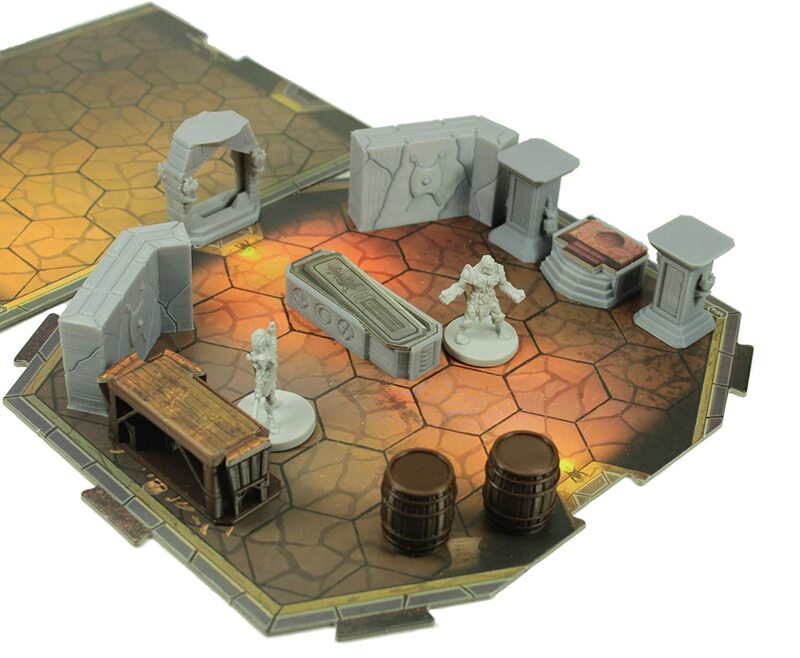 They company (Loaded dice) did something similar for Imperial Assault. Nice! 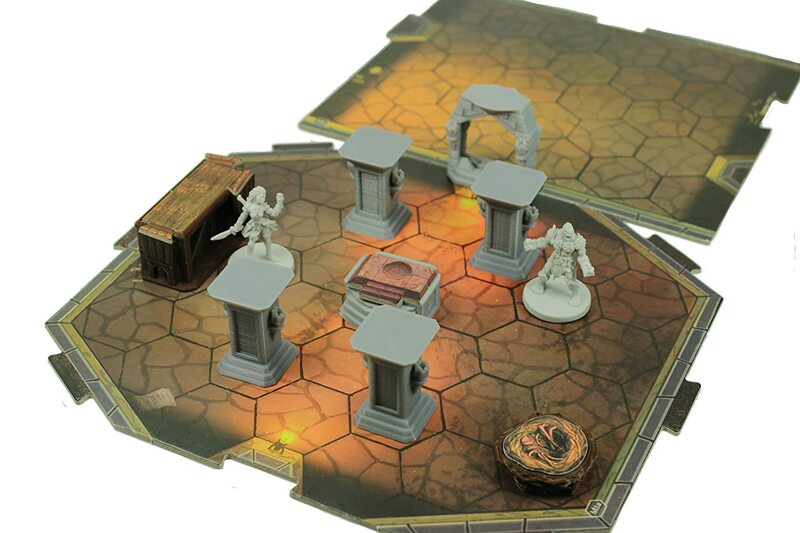 There’s only one problem – I hated Gloomhaven. 🙂 I had the same extreme reaction to it that I did towards Mage Knight. Overly fiddly, puzzle-like mechanics that sucked all of the fun out of fantasy gaming. But that’s just me of course, I know there’s a lot of people who enjoy them both. I can’t say I blame you there, especially for the price tag attached. The world of Gloomhaven is amazing, and having to stop and figure out the best way to proceed, which could change at the drop of a hat based on initiative, can kill the vibe of the story. And it COULD use more story bits. But exactly as you say, there are a lot of people who enjoy that kind of game. My brother loves puzzle games and even though he also loves H.P. Lovecraft, he gets bored with Mansions of Madness and Mythos Tales. My friend Jessica is also the same way. When playing Gloomhaven with them they really had a good time; Nick and I would interject story flavor while they were on top of the mechanics/strategy and it helped balance things out. While it’s not my favorite game to play, it’s my favorite game to play with them. It’s a hybrid that engages players that normally wouldn’t be drawn to that type of setting and has enormous replay value. 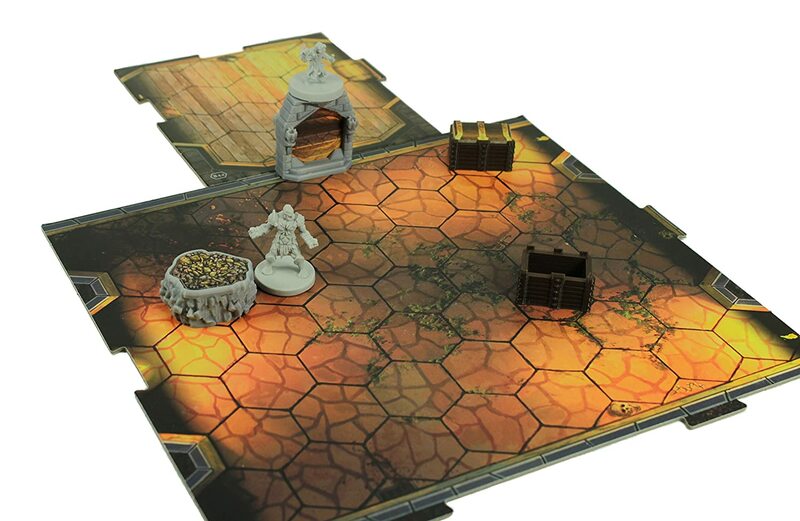 Gloomhaven and Mage Knight are very clever in that they’ve both tapped into the market of gamers who wouldn’t normally play dungeoncrawlers or luck-heavy games, but may have been casting a sidelong glance over the fence and admiring the fantasy theme. I completely understand why they appeal to gamers who enjoy the more puzzle-solving aspects. But yeah, they’re are definitely not for me!